A question that arises when looking at one word or another in the English translation, is whether that word – no matter how commonly held – is the best translation given the underlying term. A word that has fallen into our review is the word crown. How many derivative uses do we have from the word crown as found in scripture? Songs have been written and churches named using the word crown, but is that the best word for the word found in the Hebrew? How about the Greek? What is the underlying word, and what is the best interpretation? זֵר (Strong’s 2213) means (in the sense of scattering), a chaplet (as spread around the top), i.e. (specifically) a border molding. (נֵזֶר) (Strong's 5145). In the first instance, this word nezer means something set apart, i.e. (abstractly) dedication (of a priest or Nazirite); but also, by implication, a chaplet (especially of royalty). (מִצְנֶפֶת) (Strong's 4701), which means a tiara, i.e. an official turban (of a king or high priest): a diadem or mitre. The blessings of your father have prevailed above the blessings of my progenitors unto the utmost bound of the everlasting hills: they shall be on the head of Joseph, and on the tiara of the head of him that was separate from his brethren. Does that work? I don’t think so. But it would have been common for him to have placed on his head a wreath, like the one shown above. This concept is reiterated in the Natzariym (the New Testament). Let’s take a look at the Greek word used for crown. Unlike the Hebrew, there is only one word used in the Greek which has been interpreted as crown, and that word is stephanos. 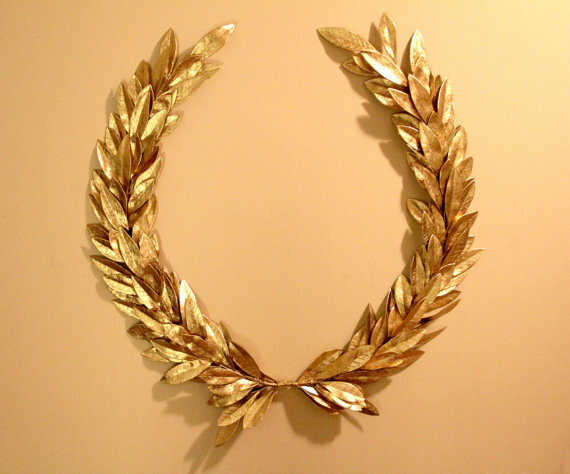 στεφανος (Strong’s G4735), from the primary word stepho, which means to twine or wreathe, the word means a chaplet (the wreath or garland which was given as a prize to victors in the public games; the crown or wreath which is the reward of righteousness. Therefore, we can conclude that, at least within the Natzariym (NT), the proper word is wreath, which is better and more accurate than crown. And Yoab fought against Rabbah of the children of Ammon, and took the royal city. 27 And Yoab sent messengers to David, and said, I have fought against Rabbah, and have taken the city of waters. 28 Now therefore gather the rest of the people together, and encamp against the city, and take it: lest I take the city, and it be called after my name. 29 And David gathered all the people together, and went to Rabbah, and fought against it, and took it. 30 And he took their king's crown from off his head, the weight whereof was a talent of gold with the precious stones: and it was set on David's head. And he brought forth the spoil of the city in great abundance. עֲטָרָה (Strong’s H5850) which means simply, a crown. However, we see that the crown referenced in this section weighed a talent (an ounce or two) of gold, and was set with precious stones. This same incident is discussed in Divrei Hayamiym (1 Chronicles) 20:2, and the same weight is given. 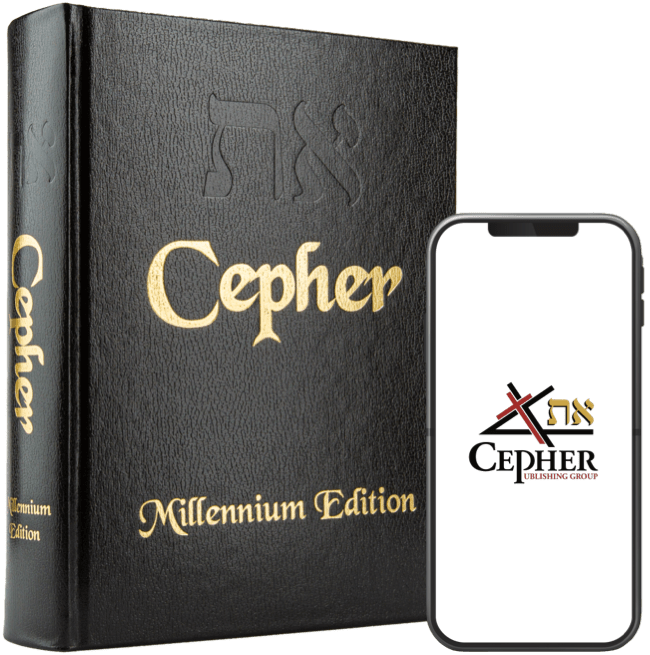 The atarah is also referenced as being of gold in Esther 8:15, Iyov (Job) 19:9; 31:36; Tehilliym (Psalm) 21:3; Mishlei (Proverbs) 4:9; 12:4 (comparing a virtuous woman to an atarah); 14:24; 16:31 (comparing the hoary head to an atarah); 17:6 (comparing grandchildren to an atarah); Song of Shalomah 3:11; Yeshayahy (Isaiah) 28:1; 28:3 (comparing pride to an atarah); 28:5 (comparing YAHUAH TSEVA’OTH to an atarah); 62:3 (crown of glory); Yermiyahu (Jeremiah) 13:18 (crown of glory); Lamentations 5:16; Yekhezq’el (Ezekiel) 16:12; 21:26; 23:42; Zakaryahu (Zechariah) 6:11 (an atarah of silver and gold for Yahusha, the high priest); 6:14. And when they had platted a crown (στεφανος - stephanos) of thorns, they put it upon his head, and a reed in his right hand: and they bowed the knee before him, and mocked him, saying, Hail, King of the Yahudiym! Isn’t the word wreath more appropriate here than a word which would be the equivalent of an atarah – a gold, or gold and silver crown embedded with jewels?